Today 11 July, World’s Population Day. 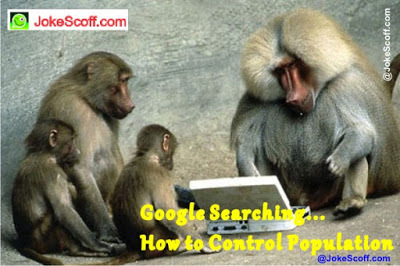 Here How to Control world’s or India’s Population Funny Image. This population control cartoon picture make smile laught. Share on whatsapp and facebook your friends. Sabse accha aur aashan tarika hai population control karne ka. At night Bivi ke aaju baju kaanto vali Jaali bicha do. Mother Monkey searching on Google, How to Control Population.